' ' Cinema Romantico: Who Am I in the Bank-Robbery Movie Scene? Who Am I in the Bank-Robbery Movie Scene? Shea Serrano, who is something like the Interwebs master at quasi-alternate fiction and delightfully oblique variations on listicles, recently posited over at The Ringer the very straight-forward question “Who Are You in the Bank-Robbery Movie Scene?” by outlining the various possibilities. The post is actually pretty conventional by Serrano standards, and the options he offers are all the traditional archetypes from “The Leader” to “the customer who decides he wants to be a hero.” Serrano’s piece nevertheless absolutely got us to thinking, as it had to, about who we are in the bank-robbery movie scene, though, as always, in situations like these we tend to take those archetypes and then drill down, examining who inhabited a particular archetype and how they inhabited it. Anyone who knows me knows well knows instantaneously that I am not The Leader. Ha! No one has ever looked at me or hung around me and thought, “You know who you remind me of? 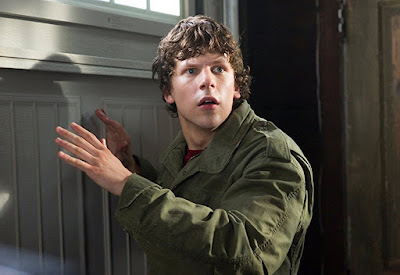 Neil McCauley.” No, that’s why the obvious corollary here is Jesse Eisenberg in “30 Minutes or Less” who robs a bank only because he has a bomb strapped to him and is ordered to rob the bank by the real bank robbers. His subsequent harried comicality seems the sort of air I might possess. His character name is Nick, for God’s sake, which is no spiritual coincidence! I couldn’t be The Getaway Driver. We have already covered who I would be as a driver at the movies and, rest assured, I am no Steve McQueen. 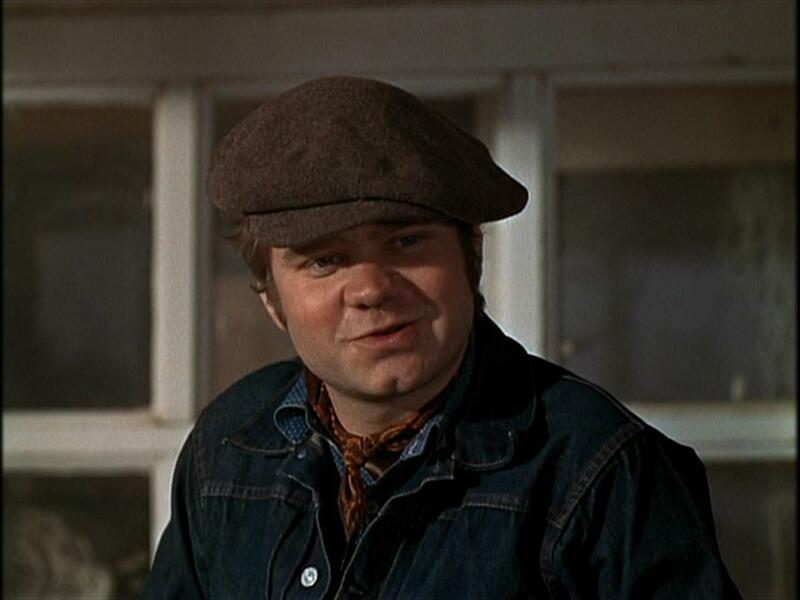 If I was the getaway driver I’d be something like Michael J. Pollard’s hapless C.W. Moss in that scene when, as Bonnie and Clyde scurry into the bank with their bags and guns, he rather idiotically tries to parallel park rather than waiting right outside the bank. It’s tempting to call myself The Jumpy One. Indeed, I feel kinship for Bokeem Woodbine in “Dead Presidents” who doesn’t want to rob the bank and yet, against his better judgment, shows up to participate anyway and then completely falls down on the job as a simple lookout. But, I suspect no one would ever even think to employ me as the lookout in the first place on account of seeing how jumpy I am and so it would never even get to this point. There is no way I would be the customer who decides he wants to be a hero. I always think of the bank manager in “Heat” who gets himself socked in the jaw by saying “What key?” and then gives up the key half-a-second later anyway. I’m giving up the key. I’m giving up the key as they walk in the door. There is, however, a unique variation on the customer who decides he wants to be a hero that might be more fitting. I’m talking about Ewan McGregor’s hapless Robert Lewis of “A Life Less Ordinary” who, for reasons far too complicated to explain, reluctantly finds himself an accomplice to the very un-reluctant Celine (Cameron Diaz) as she leads them on a spur-of-the-moment heist. He is so reluctant, in fact, that as she pulls her gun in the middle of the job and threatens to blow a girl’s brains all over the wall, Robert assures the girl and everyone else that Celine most assuredly will not actually blow the girl’s brains all over the wall, a moment of comical, detrimental honesty that prompts Celine to point the gun at Robert’s head, sort of inadvertently turning him inot the customer who decides he wants to be a hero. That seems like where I might end up — as the bank robber so bad at bank robbing that he winds up getting squeezed out mid-robbery. Of course, that still implies a certain air of heroism, however accidental, which still, frankly, seems stretch. So. Do you remember “Out of Sight”? 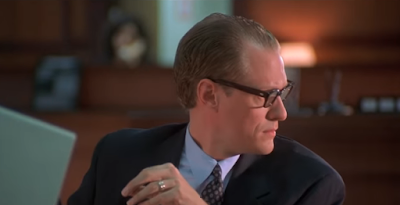 Do you remember at the beginning when George Clooney’s bank-robbing Jack Foley goes up to the teller and explains that his partner is sitting at the desk just behind him with a gun in his open briefcase? And then Foley gets his cash and goes, and as he goes, he stops to point out the teller to his “partner”? And his “partner” looks at the bank representative with whom he’s conversing and says, confused, “Who was that?” That. That’s me during the bank-robbery movie scene. I’m so clueless I don’t even know the robbery’s going on.